Hannibal Lecter is kinda a big deal with me. I had no interest in seeing Silence of the Lambs despite the fact that everyone at school was talking about it in the Staff Room. I hate the kind of movie they were talking about. I had no interest in having my nightmares stocked full of images that I would never forget. It did seem like the film transformed everyone I was working with at the time. But those were the days of living in the far Canadian north and I didn't want the movie to leave town without me seeing it. I went. I was horrified but freaking delighted to be THAT terrified and impressed with a character all at the same time. I hated how much I admired Lecter for his escape and how he remained so arrogant while doing it. The first Manhunter was a memorable movie also so I have had the character of Will Graham rattling around in my head too. How horrible would it be to be able to put yourself into the madness or suffering of others? It would turn you inside out and make you a seething cauldron of rage. Ouch, even HIS ennui is too much for me to endure. Mads Mikkelsen is the kind of actor that can terrify me in the right role and he seems perfectly cast to this role. Of course I won't know that until I see the pilot. All the elements seem to be here. Now to that formula you add some Morpheus (Lawrence Fishburn) and you have yourself a Sherlock Elementary-like procedural. I think NBC might have a winner. I must see more, which is what a teaser trailer is meant to do. So take a look and tell me what you think. 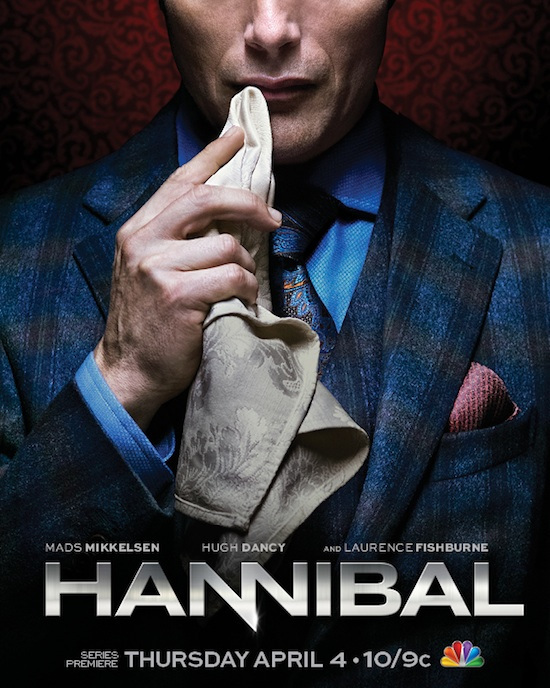 I imagine how great/terrifying it will be to see Lecter wander free, knowing that at any moment he could just SNAP. It's a hell of a high concept but one that could pay off big time if done just right.